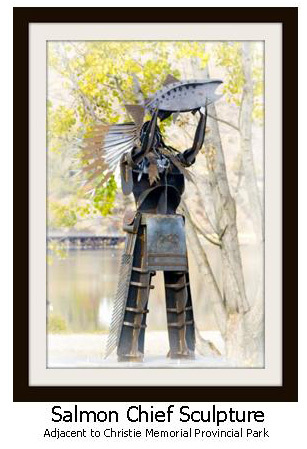 Here you will find detailed info and links for Okanagan Falls, a community that both of us, with our respective families, call Home. This community has terrific potential, something that has become more and more evident in the last few years with many positive changes. We really believe big things will happen here in the next few years. Okanagan Falls (otherwise known as OK Falls or The Falls) is a small community located on the south shores of Skaha Lake, geographically situated at the northern tip of the Sonorian Desert. With a population of approximately 2,500 people, Okanagan Falls is the largest community within Electoral Area D of the Regional District of Okanagan Similkameen. The other communities that make up Area D are Twin Lakes, Kaleden, Marron Valley, Skaha Estates, Heritage Hills, Lakeshore Highlands, Apex, St. Andrews and Upper Carmi Road. The entire area covers over 900 square kilometers and in total is home to nearly 6,000 residents. Okanagan Falls is only 16 kilometers south of the City of Penticton and the Penticton Regional Airport. Okanagan Falls was originally known as Dogtown from the Okanagan Indian word Skaha (meaning dog), which is how the lake eventually got its name. The obvious question that tourists and newcomers have is “Where are the water falls?” The easy answer is: they’re gone! In the 1950s the falls were reduced with the construction of the dam that controls the waters that flow into the Okanagan River. The OK Falls area is home to 13 wineries, and in our opinion, produces some of the finest white wines in the South Okanagan. Many of these wineries have a very interesting history and are well worth exploring and to experience the amazing settings, views and most importantly taste the award-winning wines! 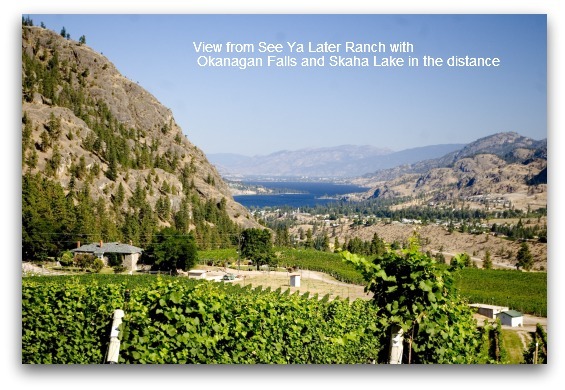 The largest winery in Okanagan Falls is See Ya Later Ranch, which is on Hawthorne Mountain (a north facing slope which is rare when it comes to vineyards). Hawthorne Mountain is home to the largest planting of Gewürztraminer in North America! OK Falls is part of School District #53 and home to the Okanagan Falls Elementary Science Focus School (Kindergarten – Grade 7). It’s a great school due to its small class sizes and excellent sports program. It’s also home to the StrongStart center, OK Falls mini school and out-of-school care. Right beside the school gymnasium is the OK Falls Parks and Recreation office and across the street is the new Zen & Fitness Center – a great place to sign up for a variety of activities for all ages. The IGA is conveniently located on Highway 97 (and a short walk from the beach). It has a great in-store bakery, deli and butcher. At the other end of town, Keogan Sports Park is located at the end of Cedar Street, just past the school. This newly developed 10-acre park offers two ball diamonds, a skateboard park, a cricket pitch, picnic tables and washrooms. This park is such a great addition to the community, providing space for young teams to practice and play. 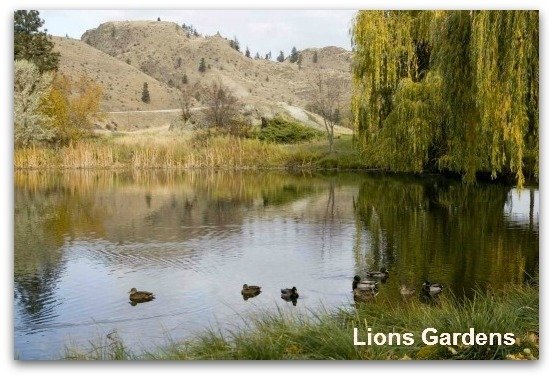 Lions Gardens is a three-acre nature park located on the south shore of Skaha Lake. These gardens are the trailhead for the trestle bridge and the KVR trail - travel on this by foot or bicycle all the way to Kaleden and Penticton beyond! The trestle is a hot spot in the summer for people brave enough to jump off for a swim and a good spot for fishing too. Lions Gardens are a beautiful place to relax, take in the scenery and watch wildlife in the natural pond. 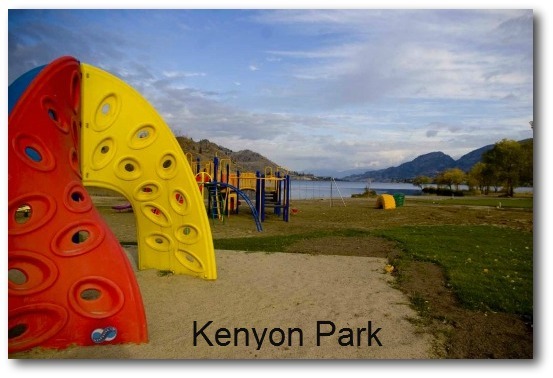 Nearby Kenyon Park is also located on the shores of Skaha Lake. It’s a two-acre park that is absolutely perfect for families, with a sandy beach, shallow shoreline(excellent for kids), shade trees, picnic tables, washrooms, and newly upgraded playground equipment. The Kenyon House is an on-site building that can be rented for BBQs or gatherings. The land adjacent to the park was purchased in 2010 by the community to extend the park and a children’s waterpark will is in the works. Christie Memorial allows dogs and there is a designated beach area specifically for pets. In addition to the accommodations listed below, there are numerous properties in the area that owners rent on a vacation basis. If you’re looking to stay in a condo-type environment check out Okanagan Paradise Resorts. Holiday Beach Motel – newly renovated and right across the street from the lake. La Villa Motel – quaint, Spanish style motel just a stone’s throw from the lake. Big Horn Ridge Guesthouse – gorgeous adobe-styled guesthouse with amazing views! Okanagan Falls Provincial Park – riverside campground with 25 sites, walking distance to town and the beach. Sun and Sand RV Park – located right on Skaha Lake with a private dock. Playa Okanagan RV Park – just up the road from the beach and easy access to Highway 97. Okanagan Falls Heritage House and Museum – take a walk through the Bassett House to see what life was like over 100 years ago. Located on Highway 97. Tickleberry’s – to some, Tickleberry’s is what put OK Falls on the map. This ice cream shop offers a huge variety of ice cream, chocolate-covered dried fruits and a quaint gift shop. It’s a destination for thousands throughout the summer! It’s at the south end of town on Highway 97. Wine Tours – OK Falls is in the heart of wine country – check out the local OK Falls wine association page while planning your next visit. It offers great information on the local wineries and a winery map for the area. Okanagan Falls is fortunate to have an abundance of industrial land. The former Weyerhauser Sawmill site is the largest industrial zoned land parcel in the Okanagan Valley. A portion of this site is home to Structurlam, a manufacturer of high quality cross-laminated timber. The new Okanagan Falls Wastewater Treatment Facility is complete! This $11.5 million state-of-the-art facility was completed in 2013, it will assist in protecting the community’s water supply as well as allow for future development and growth. The planning is in process for the extention of the KVR trail south of OK Falls, which would include a new footbridge over the Okanagan River. The Regional District is looking for input on the Regional Trails Master Plan, to have your say, complete the questionnaire. 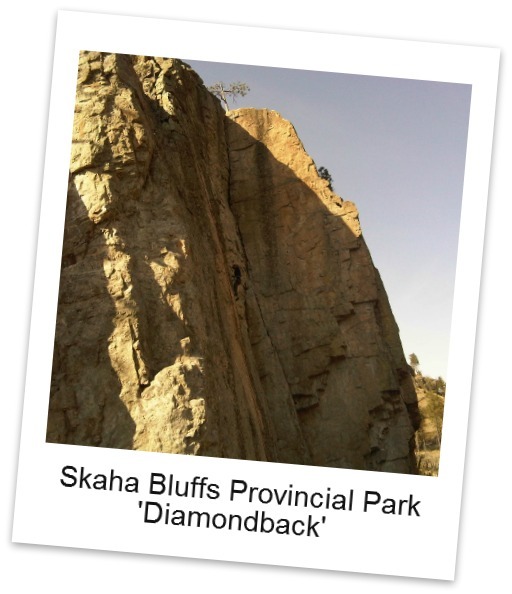 To keep up to date on what’s happening in and around Okanagan Falls, check out the local publication ‘Skaha Matters’. This free monthly newsletter is delivered to all resident’s, it contains community news for Kaleden, Okanagan Falls, Skaha Estates, Heritage Hills, Twin Lakes and St. Andrews. All issues are available online too!